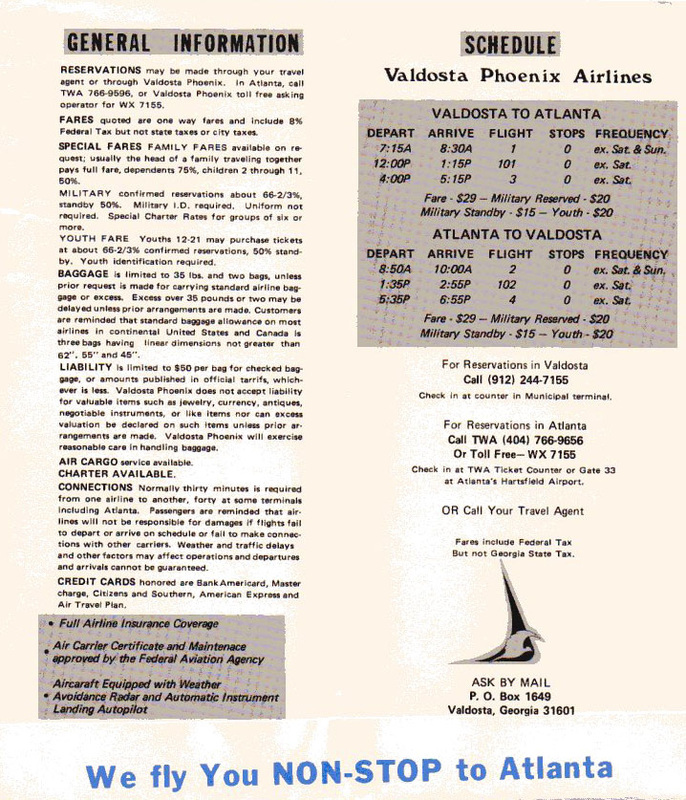 Established in Valdosta, Georgia in 1972, Valdosta Phoenix offered service to Atlanta using a Cessna 402. 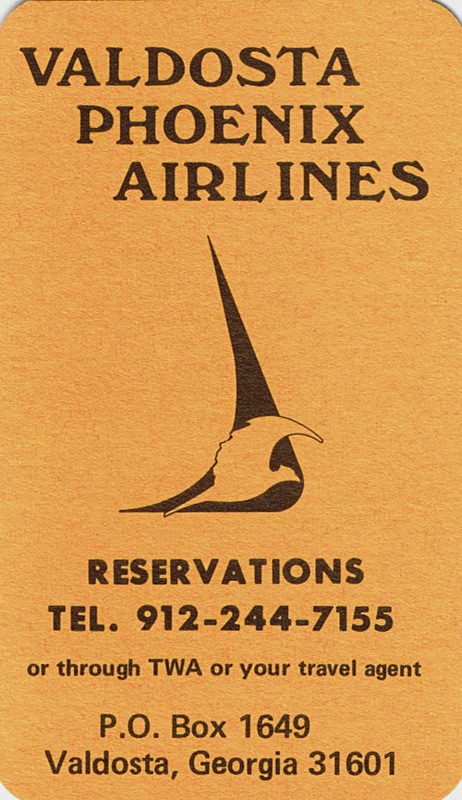 Unable to compete with Southern Airways, which offered direct service between the two cities using large aircraft, Valdosta Phoenix closed in 1973. The first timetable seen here is from the collection of Don Henchel. Valdosta Phoenix route map created with Great Circle Mapper. 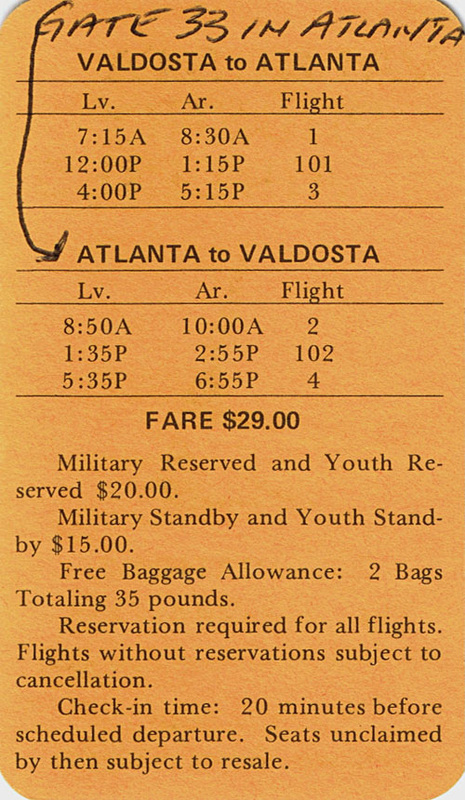 Arthur Na sent in this undated circa 1972-1973 Valdosta Phoenix timetable, showing identical flight schedules as the above timetable.